I love it when a book takes me in a completely unexpected direction. SWIMMING IN THE DARK did this several times. In less than three hundred pages. Bliss. As the book opens we meet high school student Serena Freeman. Just another bloody Freeman. The youngest of the brood of always-in-trouble kids whose mother is the object of much derision in their small New Zealand town. But Serena is clever. There is hope that she will avoid the family curse. Then she encounters her own kind of trouble. Then she disappears. Richardson draws the reader into this novel with a sympathetic but not sentimental introduction of Serena Freeman as the sort of character who demands attention. Struggling to overcome the odds, yearning to believe she has a chance – that the belief her older sister and Miss (one of her teachers) show in her is well-founded – not, at first, understanding the implications of the man who stops to talk to her sometimes. But Serena is not the only star of the novel. There is Miss – Ilsa Klein – a teacher of Serena’s who fled East Germany with her parents when she was only 10. She lives with her now somewhat elderly mother who is tormented by her past with the Stasi. Richardson slowly and deliberately allows the reader to learn the reasons behind this torment and the impact the memories have on Gerda’s behaviour in the present day. And Lynnie, Serena’s older sister who has escaped the curse of the Freeman name in her own way, is also well-drawn: displaying a very realistic mix of guilt, determination and sibling love. The narrative structure and story arc of SWIMMING IN THE DARK are both superb. Keeping the reader guessing but completely engaged at the same time. Any other point I’d like to make would constitute too much of a spoiler so I shall so no more. Except that I am still pondering this novel many days after finishing it and I shall be recommending it widely. It’s not just for crime fans. If think you are likely to read this book I’d avoid reading too much about it as many sites – most notably the book’s Good Reads page (the blurb for which I assume comes from one of the editions of the book, happily not mine) – give away far more of the plot than they ought to. Tsk tsk. This entry was posted in book review, New Zealand, Paddy Richardson. Bookmark the permalink. So good to hear you enjoyed this one as well as you did, Bernadette! I am a proud Paddy Richardson fan, so I knew I was going to love this one from the moment I got it. And I did. It’ll be interesting to see where she goes with her next book. I really liked this too Bernadette. I’m intrigued. This sounds like a good read. My library doesn’t have it yet, and it’s a little bit on the pricy side for the paperback, but I’ll keep checking. Hopefully my library will order it in, or it will be available here in ebook format! It normally takes a year or so for Aussie and Kiwi books to be published overseas – unless you’re one of the lucky 3 or 4 who have an international name. So annoying. Thanks for the terrific review. I’m going to hunt this down stat. I can’t wait to read it. And I’m taking your advise & not reading any other reviews as I like the element of surprise. Have a great 2015 & to more great reads! Hope you have a great year too – and that you enjoy the book if you manage to track it down. 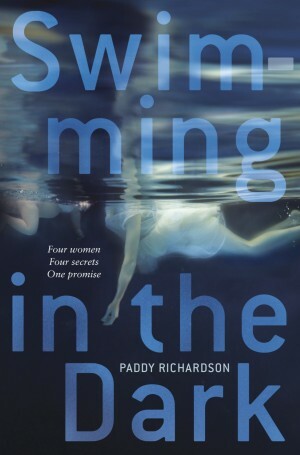 Yes, I liked this book, and am a Paddy Richardson fan. Unfortunately, I figured out what was going to happen in advance, but that did not spoil the read for me. I like her writing and suspense is definitely her genre. However, I feel like picketing somebody over here to get her books and more by writers from Australia and New Zealand in our libraries! If you’re going to picket anyone Kathy it’s probably the publishers who need it – often non American and English authors don’t get picked up in international publishing deals and if your libraries are anything like ours they either can’t afford or are not allowed to purchase books that don’t have local distribution. I always love discovering a “new to me” author. And Paddy Richardson is not a familiar name to me. However, I can always fix that. Doesn’t look like I’ll be able to get this one for a while, but I plan to go back and put the backlist on my wishlist. Thanks for an intriguing review. Right! My library buys 400 copies of a dvd starring George Clooney, but can’t buy one or two copies of several global books? Most of the crime fiction and other fiction is gone from my library’s shelves. Most of what one sees are the best-sellers and newer big-name author books in the front shelves, U.S. authors mainly, but a few British ones, the popular authors.